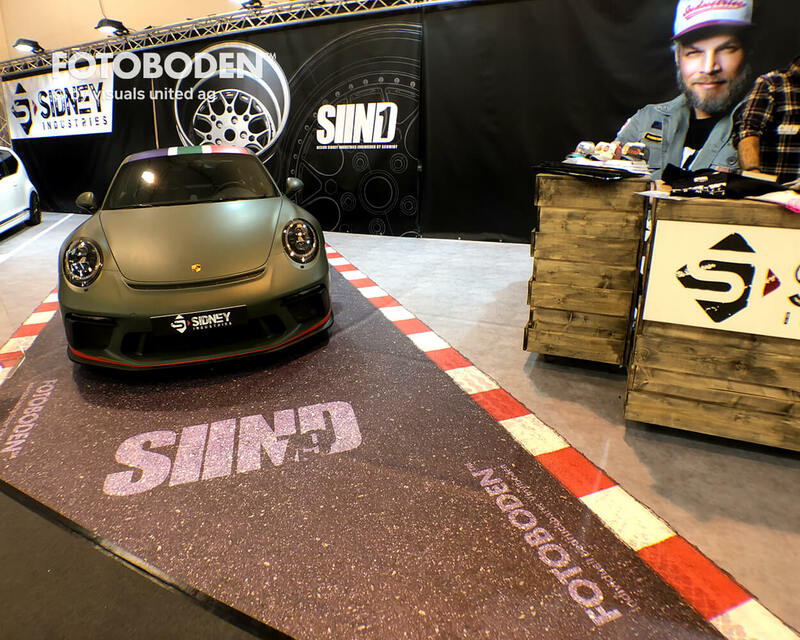 Although everything at the Motorshow in Essen naturally revolves around asphalt, cars and speed, the tuning workshop “Sidney Industries” from NRW has nevertheless managed to stand out from the crowd with deceptively real road and concrete motifs from FOTOBODEN™. 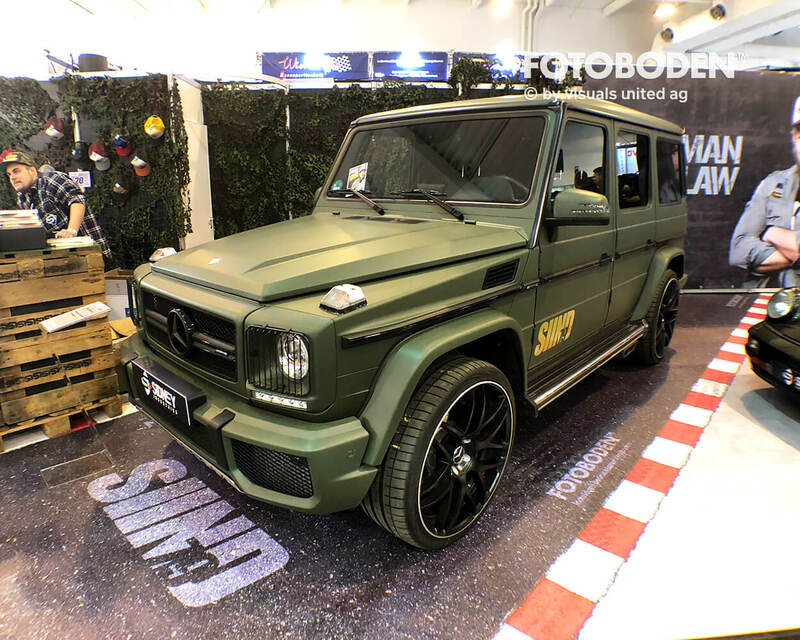 Motorshow Essen is probably the most important trade fair in the world for car tuning. 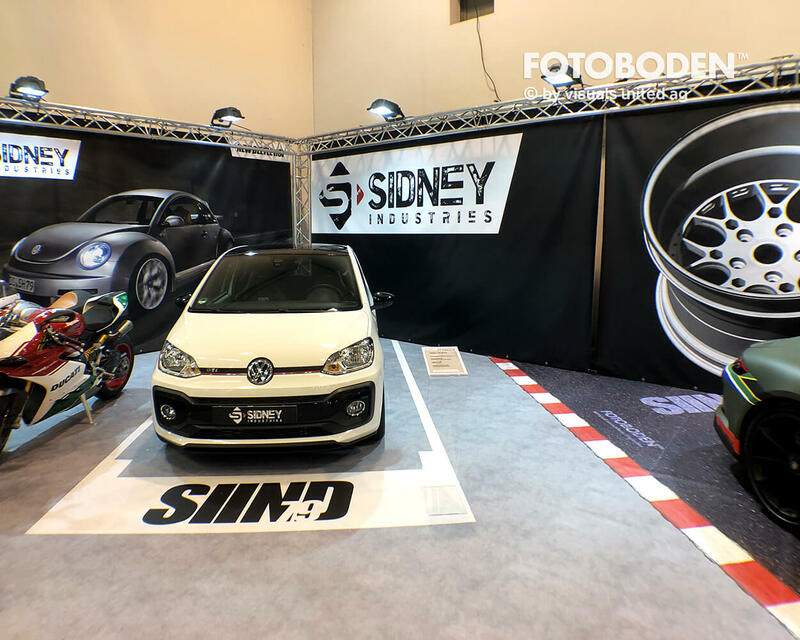 All the more reason for exhibitors to make an effort to communicate the decisive brand messages to their target groups in a sustainable manner. To achieve this, the quantity of visitors must be increased and visitor guidance optimised. 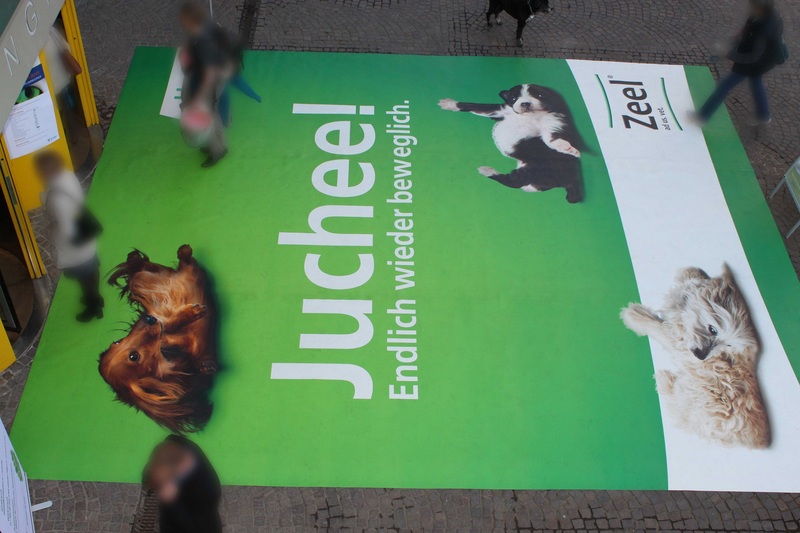 Together with our customer, we were able to master both challenges with deceptively real floor coverings in a design tailored to the target group. 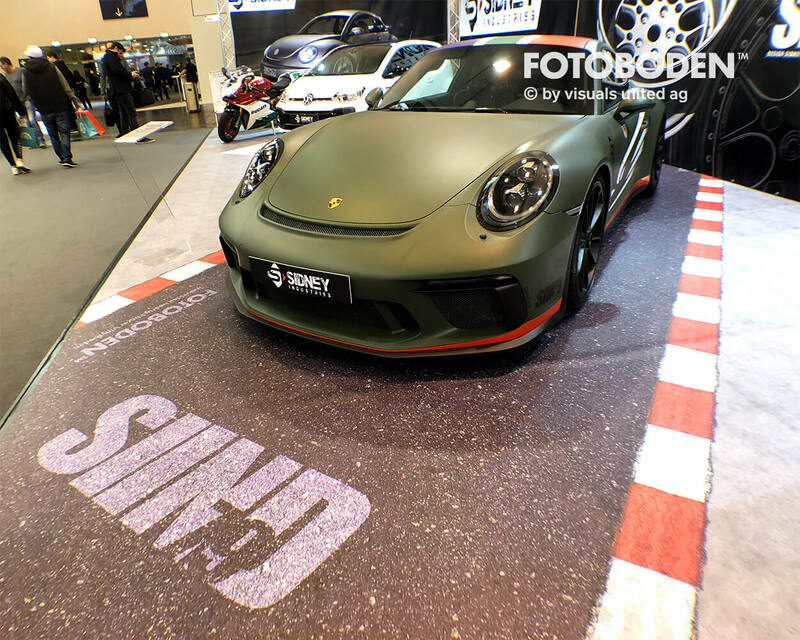 The most important thing is that the motif conveys the atmosphere in which the customer imagines the super sports cars: the race track. 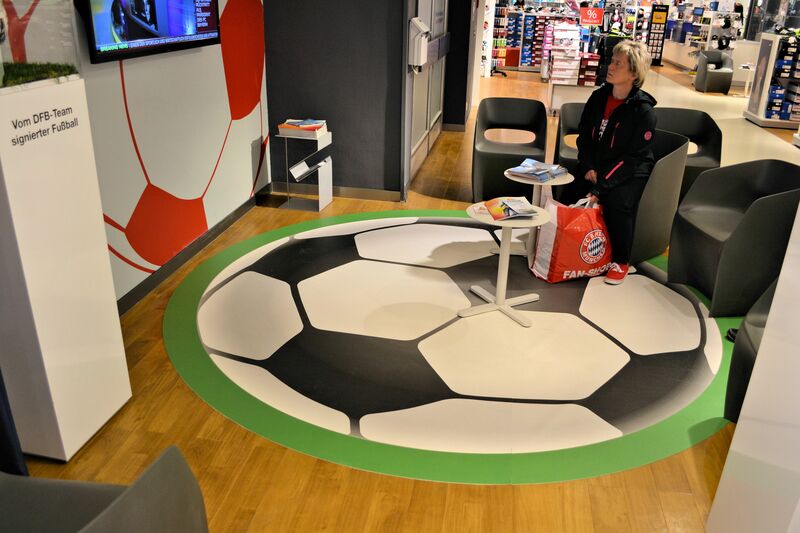 The vinyl floors from FOTOBODEN™ were able to meet the customer’s wishes and exceed their expectations. 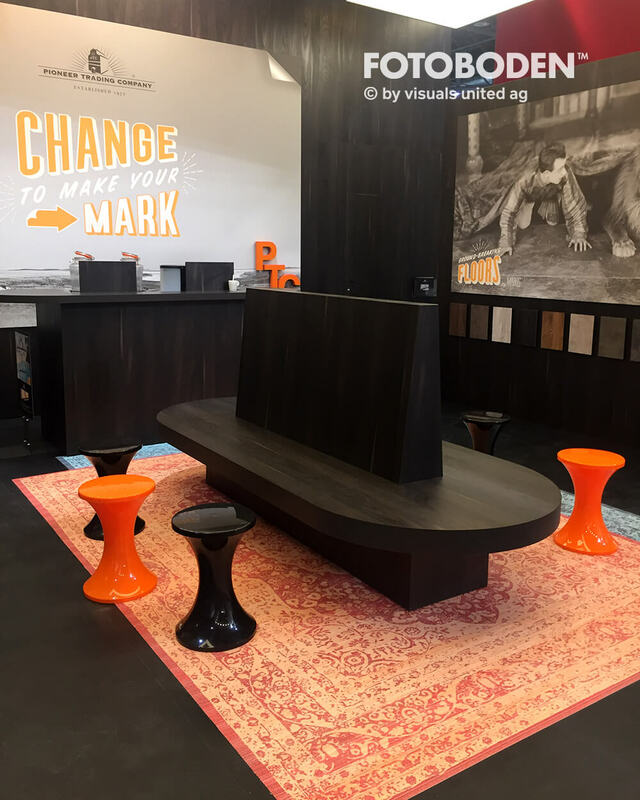 Due to the short construction and dismantling times of the FOTOBODEN™ floor coverings, we managed to give the customer more time for the really important things in the context of the hectic trade fair atmosphere: The visitors & interested parties. 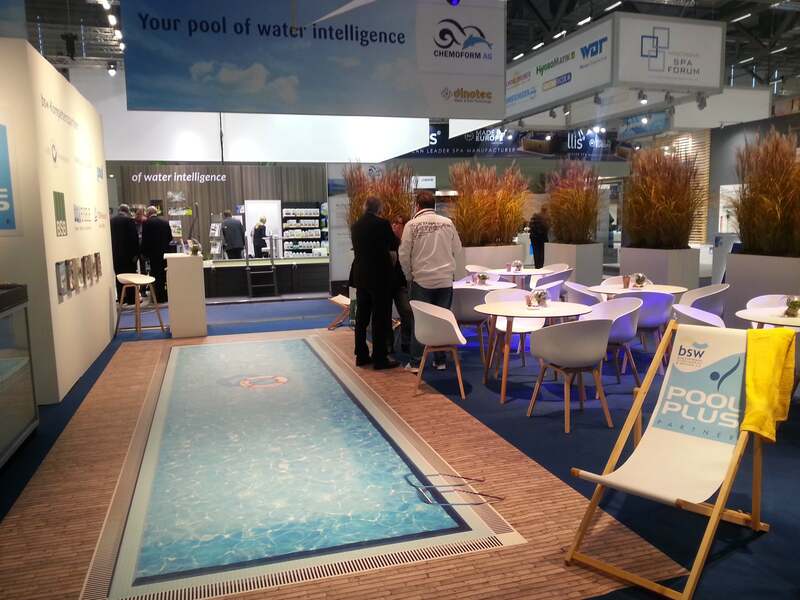 previous post: Cool, cooler, ESG! Wie fanden Sie die Informationen auf dieser Seite? Leserbewertung: 4.77 von 5 Punkten, basieren auf 1,400 abgegebenen Stimmen.